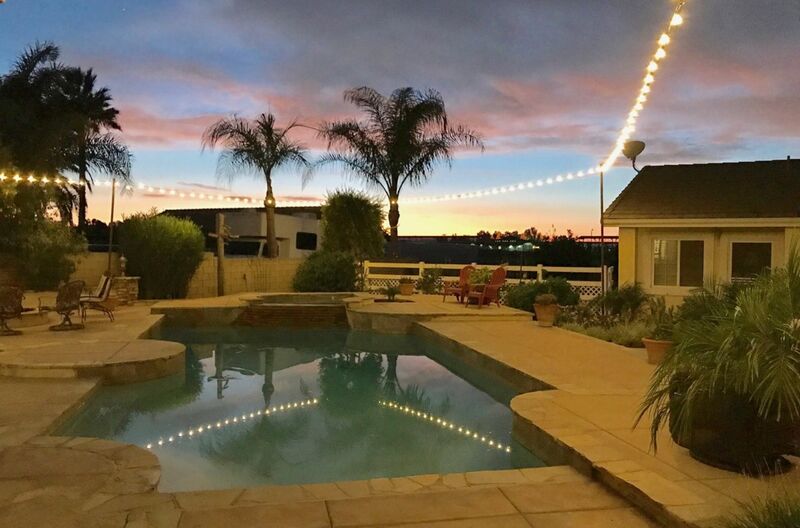 Entertainer’s and Horse Enthusiast Dream Home! 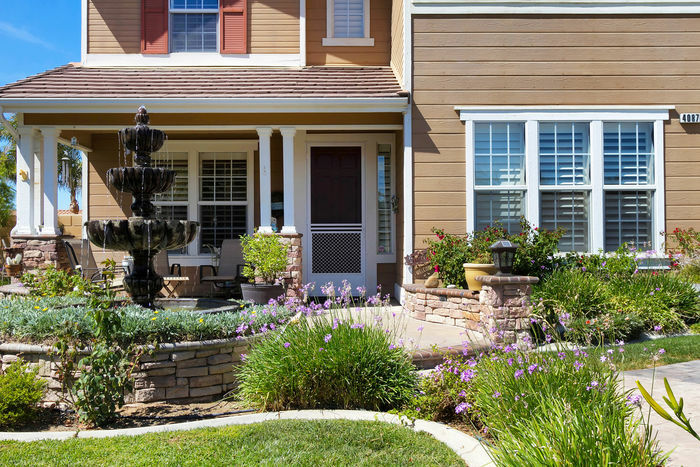 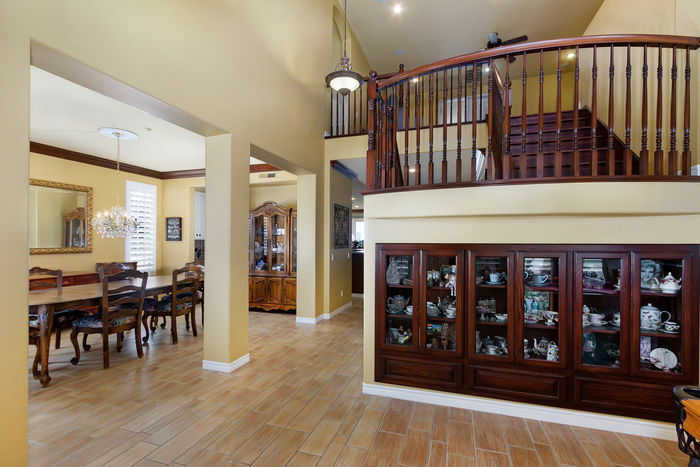 This Fantastic home is located in the Prestigious Remington Estates. 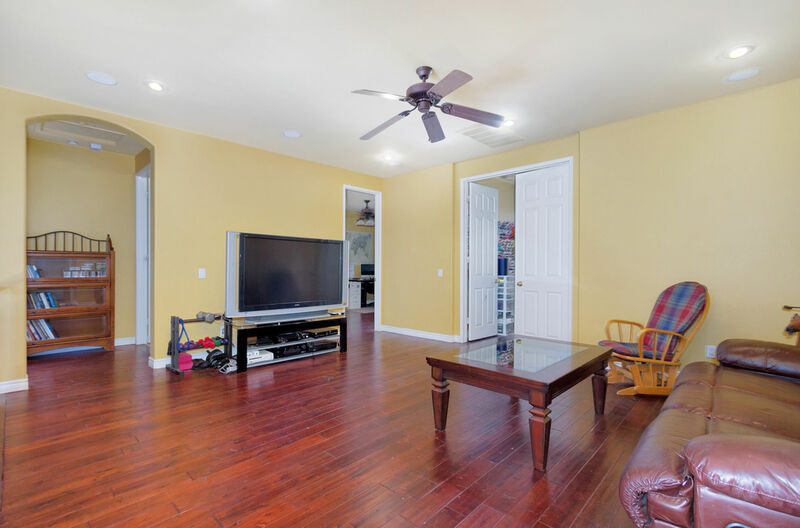 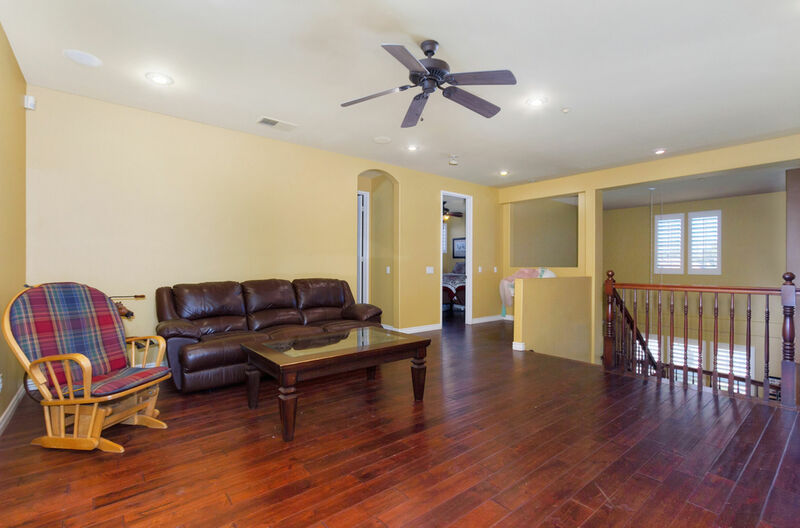 The spacious and open floor plan features 5 bedrooms, 3.5 baths with 9 foot plus ceilings, crown molding, plantation shutter, double pane windows, title and hardwood flooring throughout. 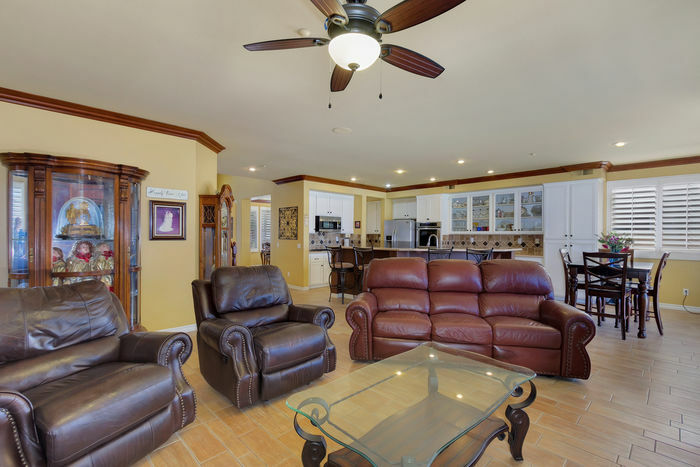 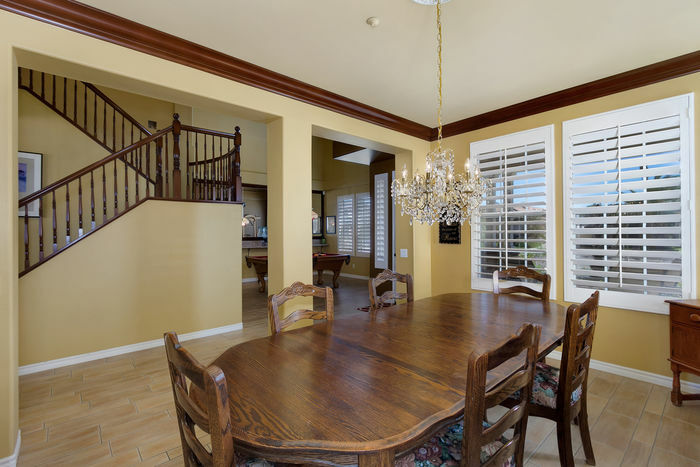 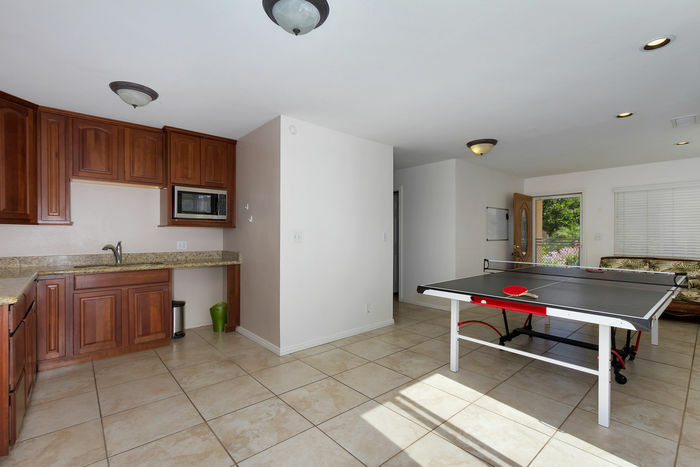 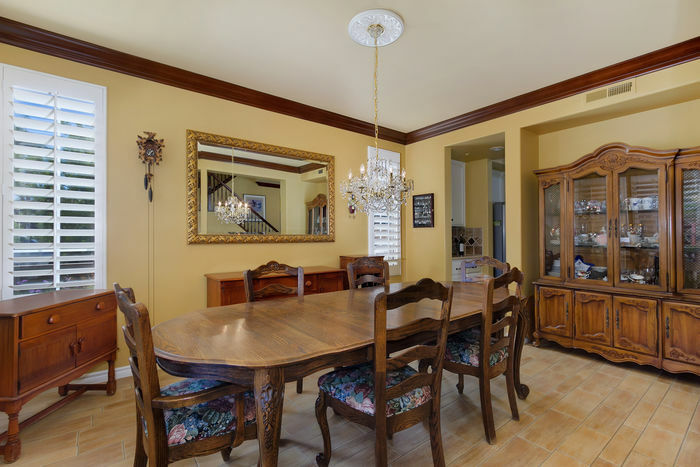 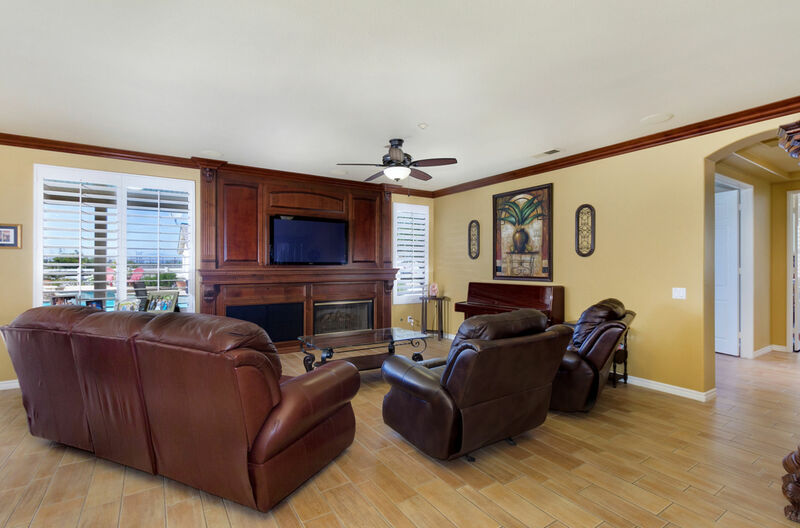 As you enter the main level there is a formal dining room, living room, and family room with custom cabinetry. 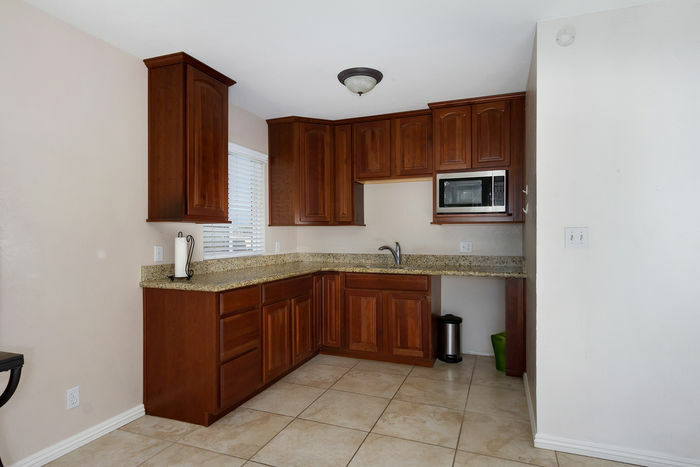 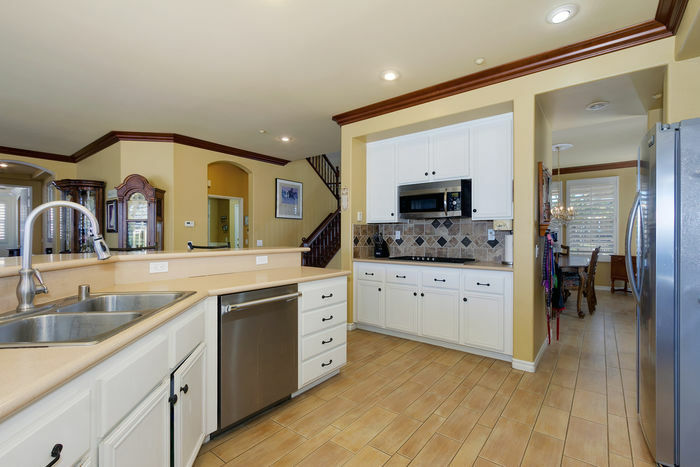 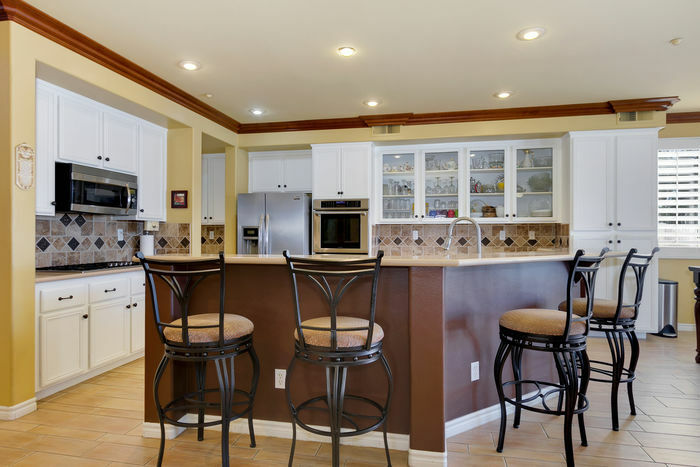 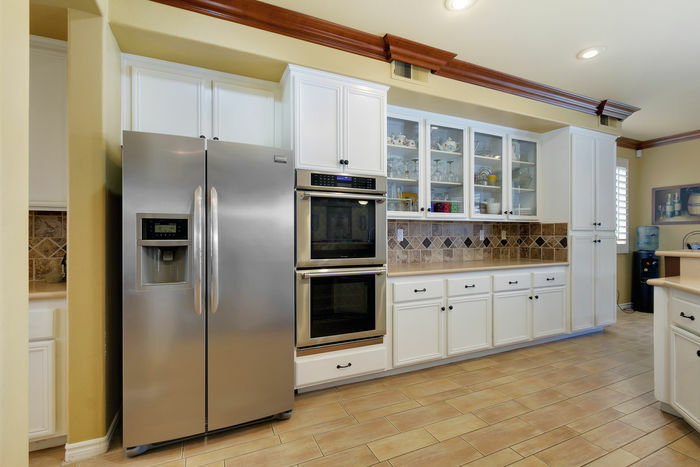 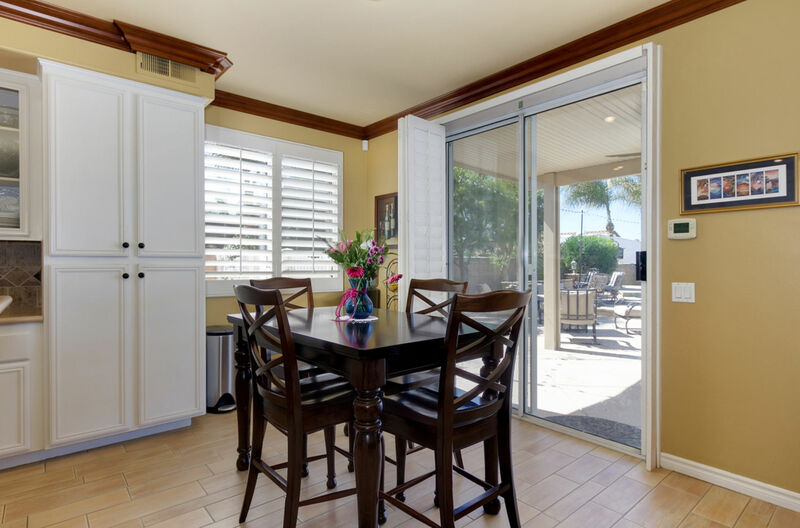 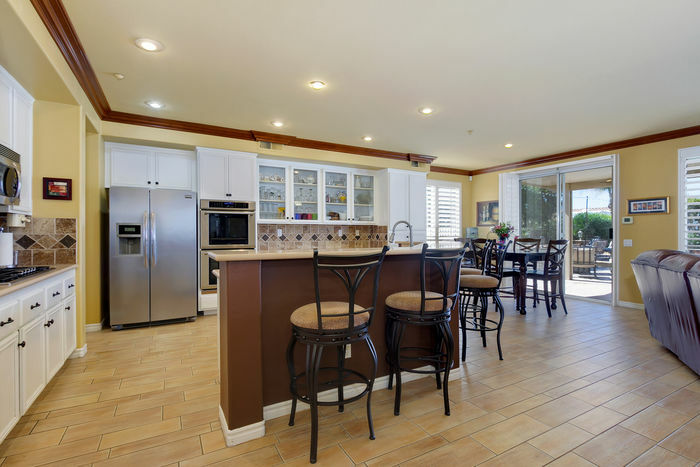 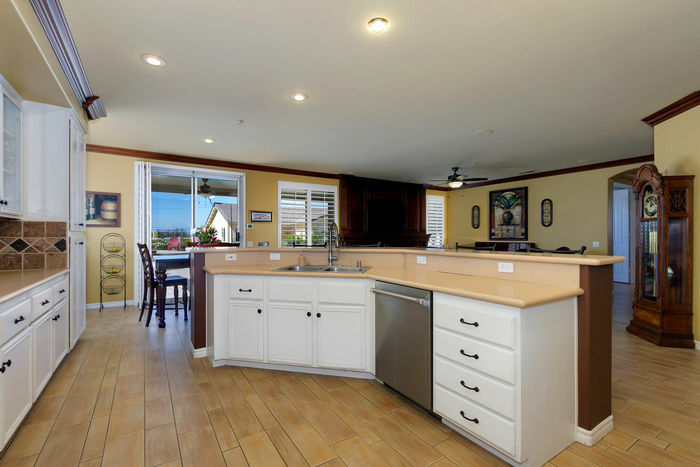 The Open kitchen is designed for entertaining, has tons of storage, Newer Thermador stainless-steel double oven, dishwasher, and 6 burner gas top. 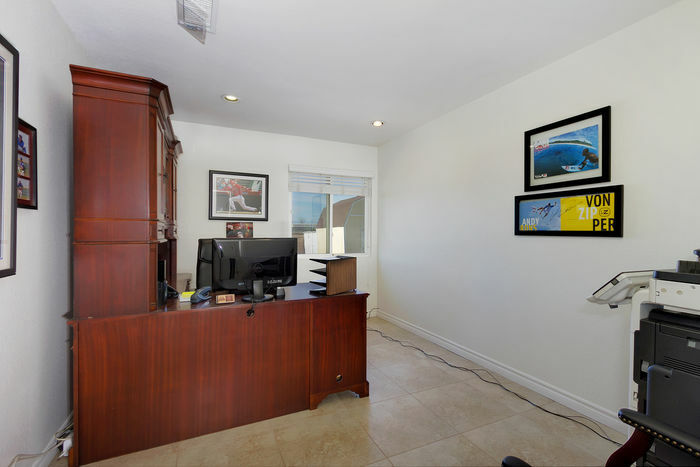 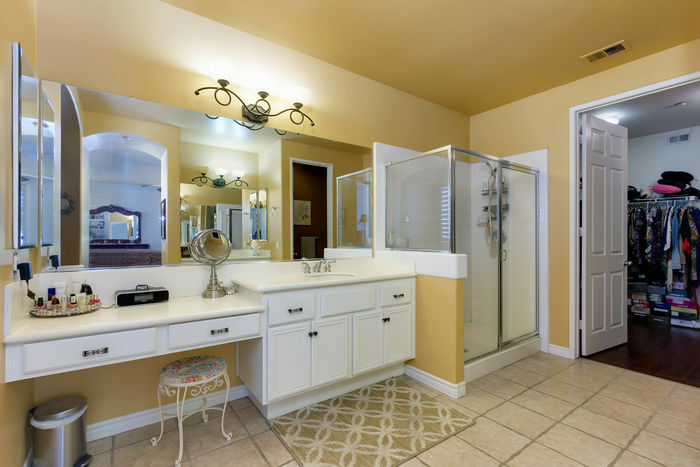 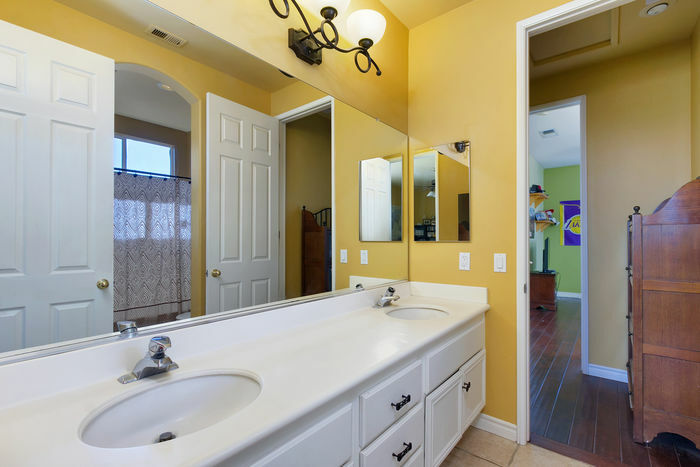 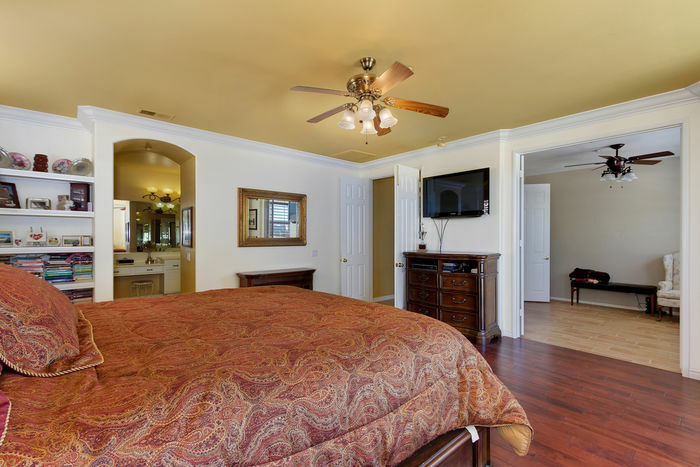 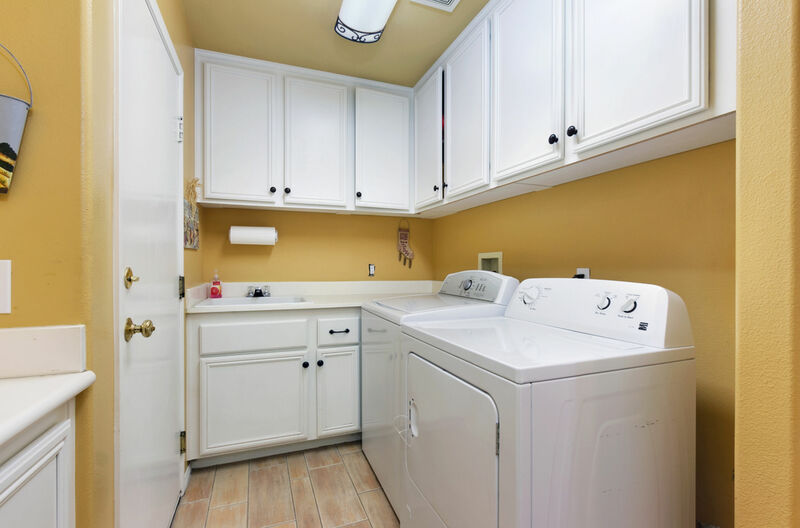 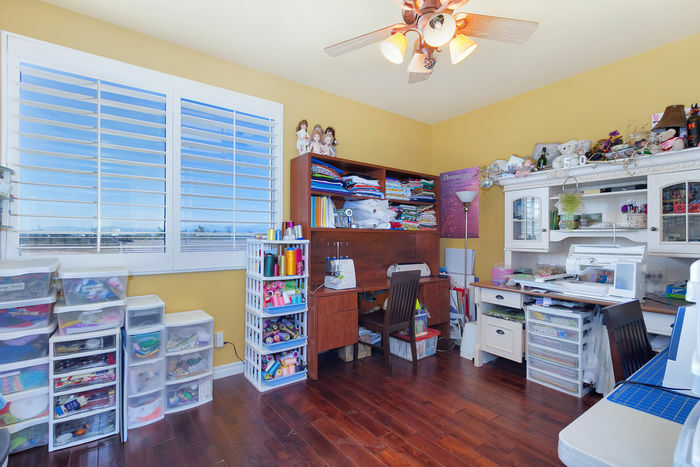 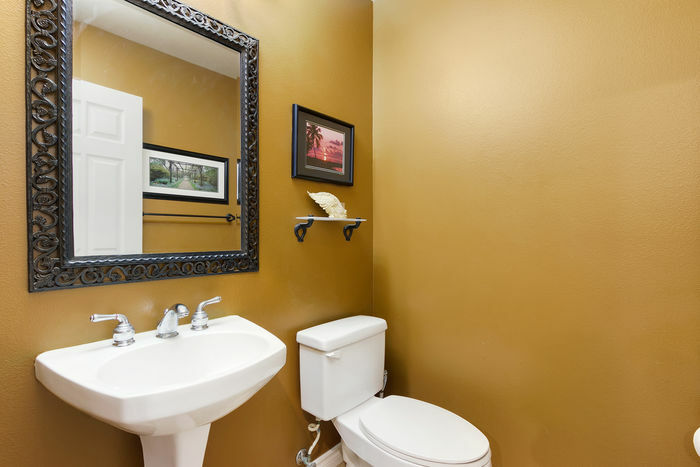 Also on the main level, there is an office room, a Master Bedroom Suite with a glass slider door to the backyard, his and her sinks, shower, huge walk-in closet, and a Jacuzzi tub. 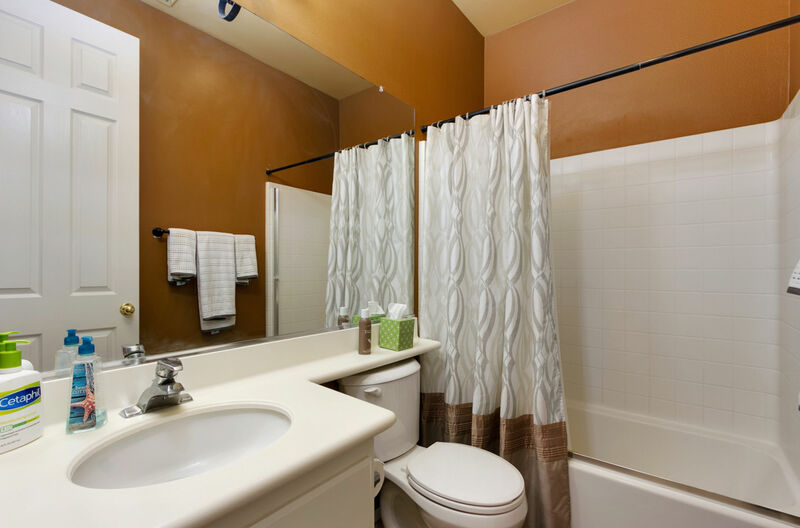 Upstairs you have 4 bedrooms, 2 bathrooms and a large additional Bonus Room. 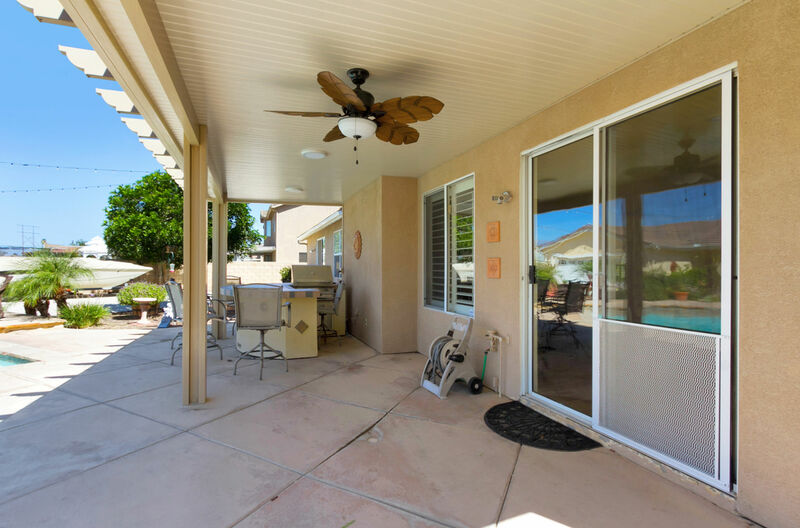 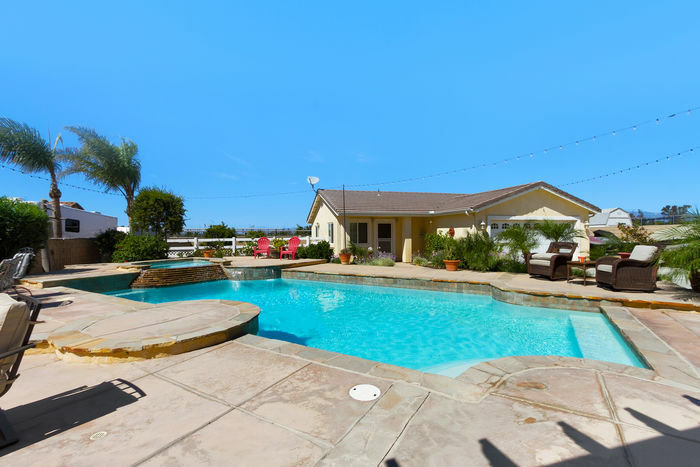 Outside features a newer awing, a build-in bbq/ bar area, outdoor lights, a large Pool and Spa with a water feature. There is an additional 846 sqft approximate workshop/office/man cave which includes its own bathroom, AC, and is cable ready. 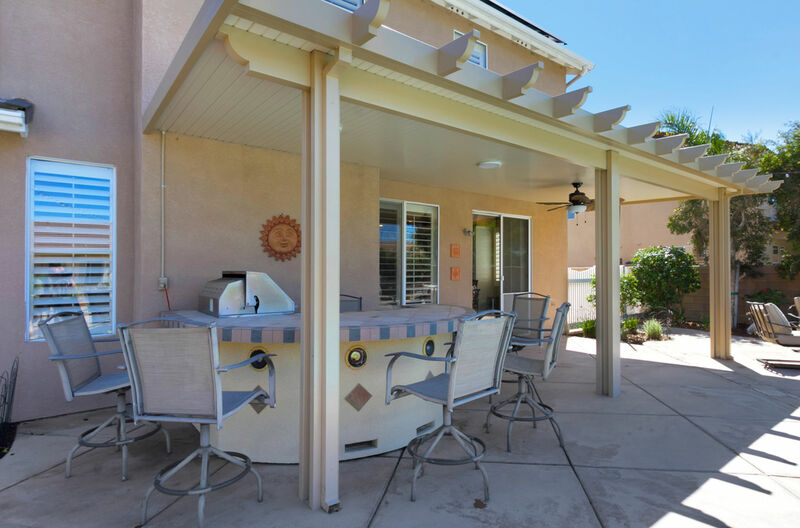 There is a total of 5 car garage spots and RV parking on the side with RV hookups. 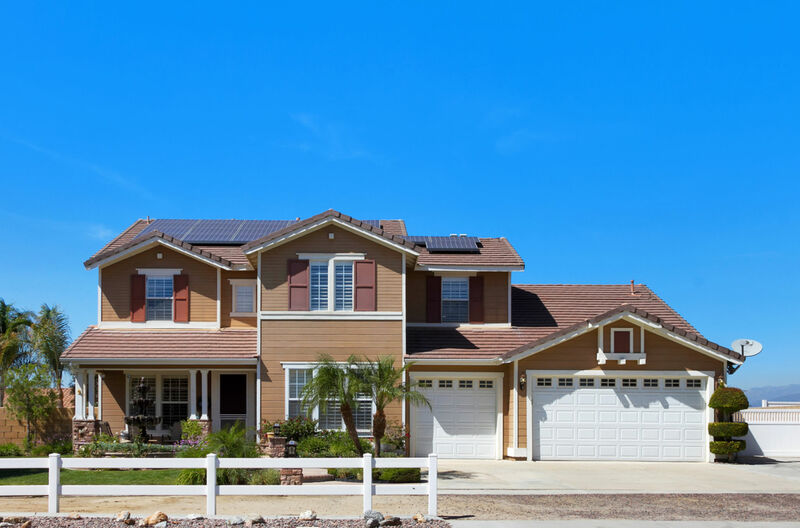 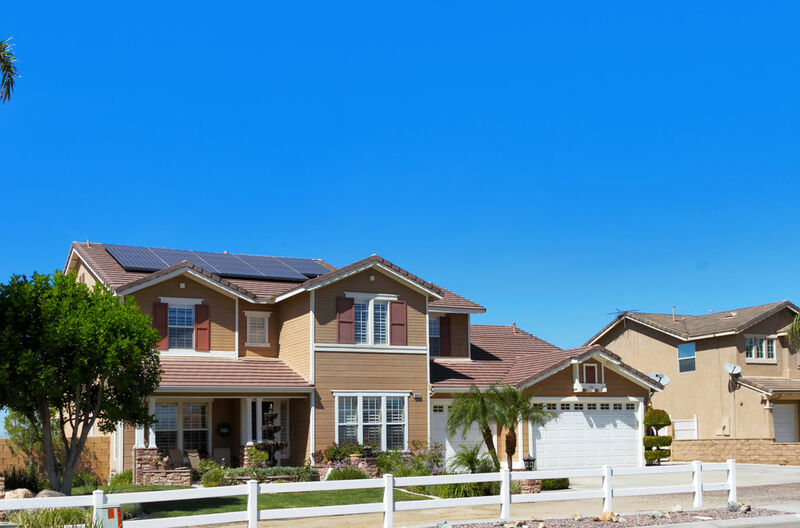 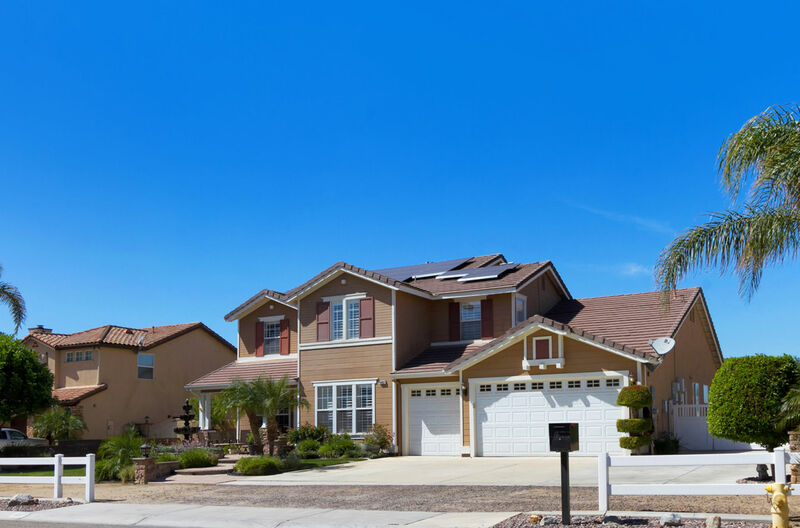 The home currently has solar that generates 90% of the energy for both the home and pool. 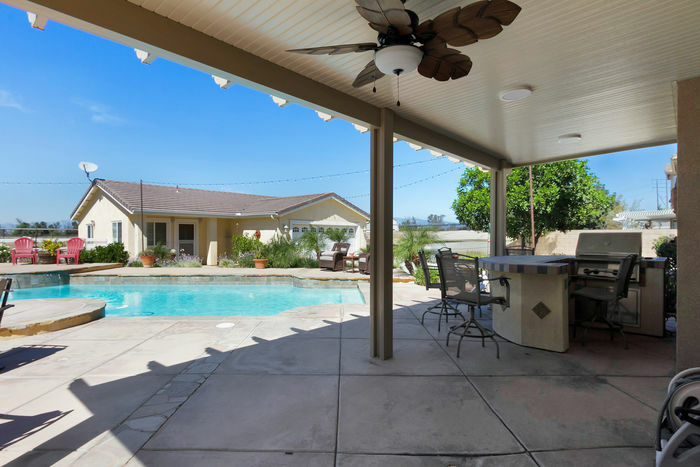 This property is able to stall up to 4 horses and has room for a small arena. 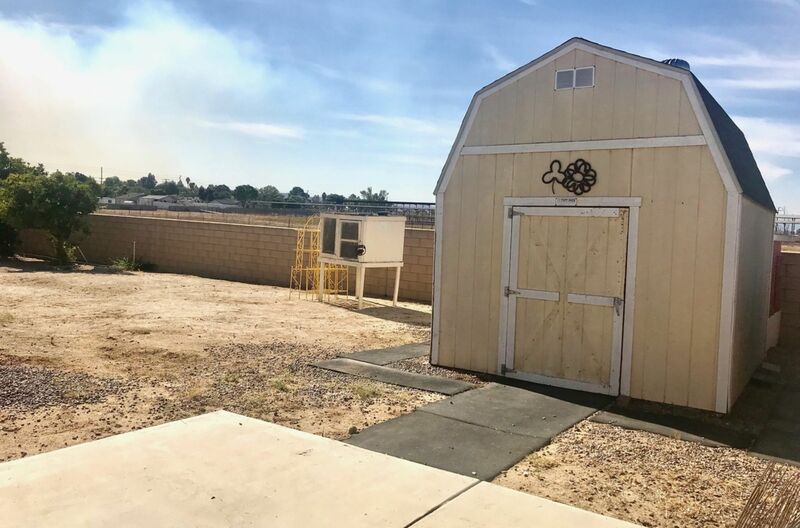 There is currently a hitching post, tack room, and chicken coop. 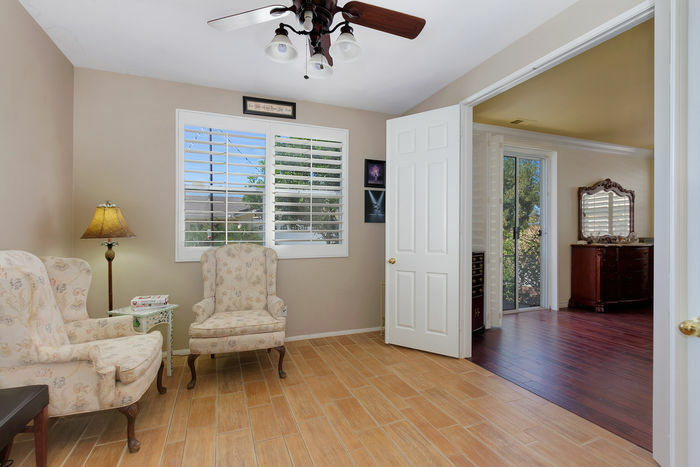 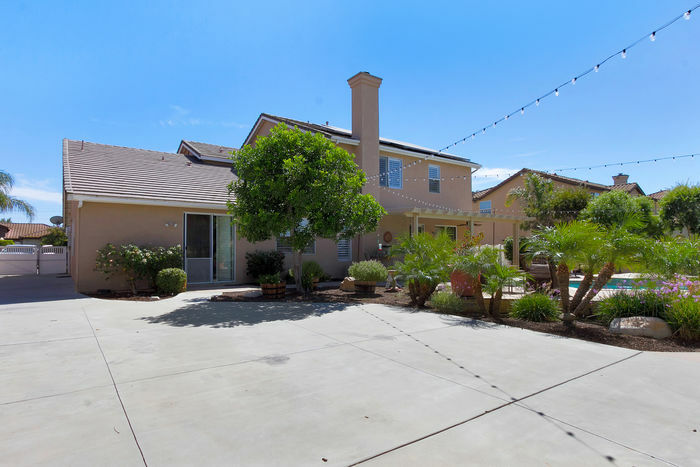 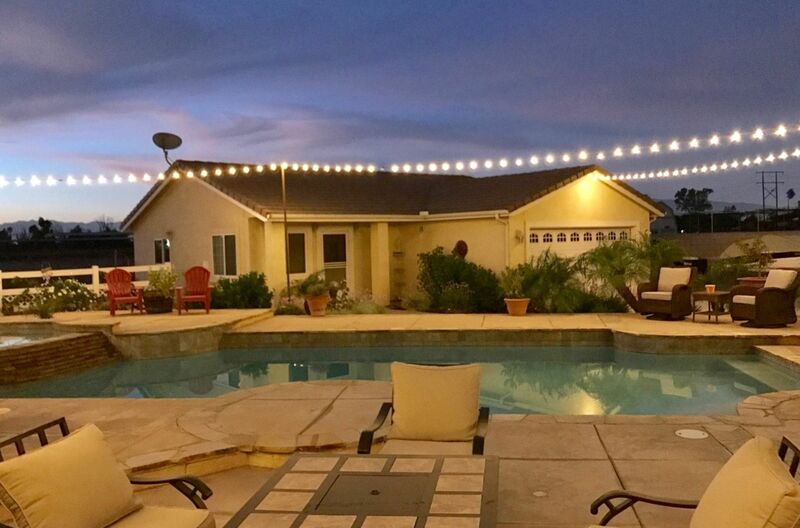 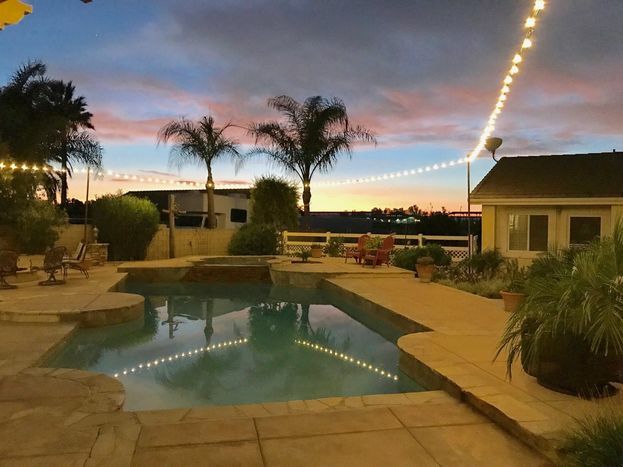 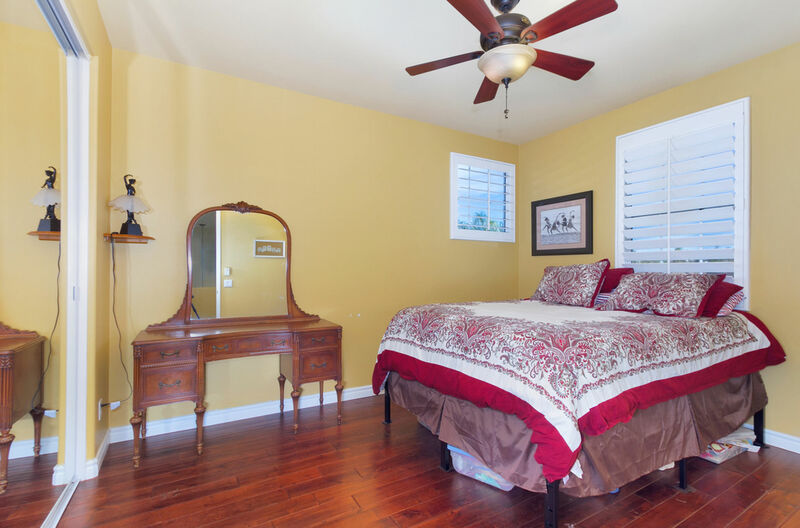 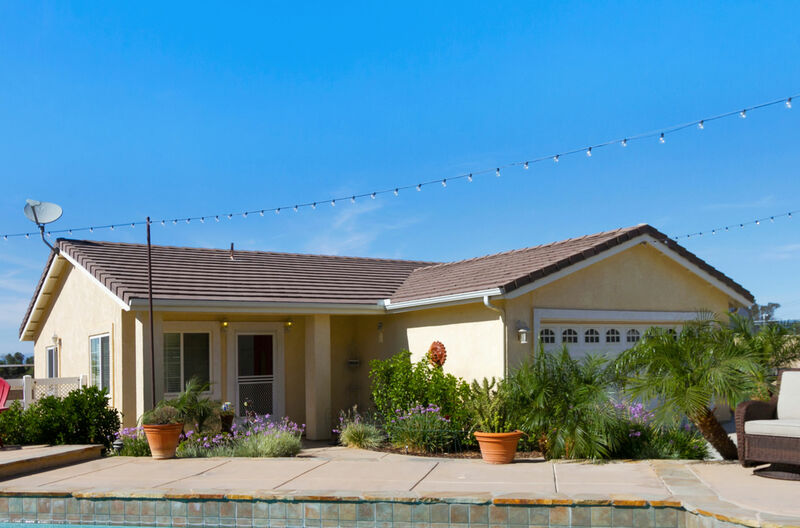 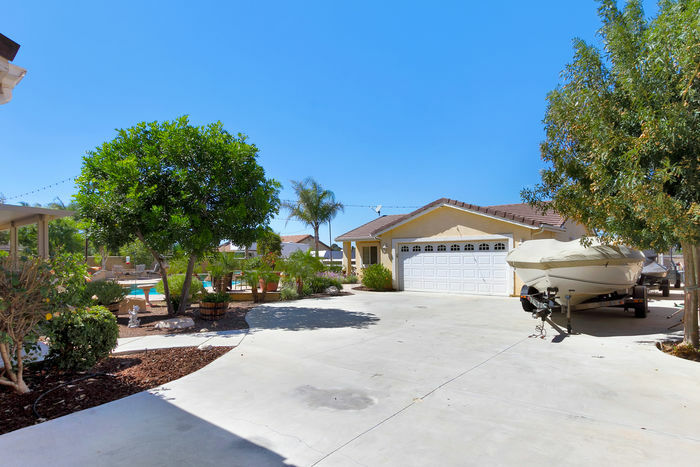 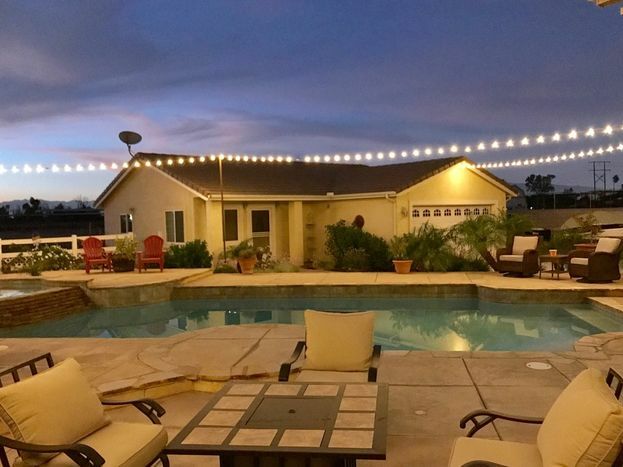 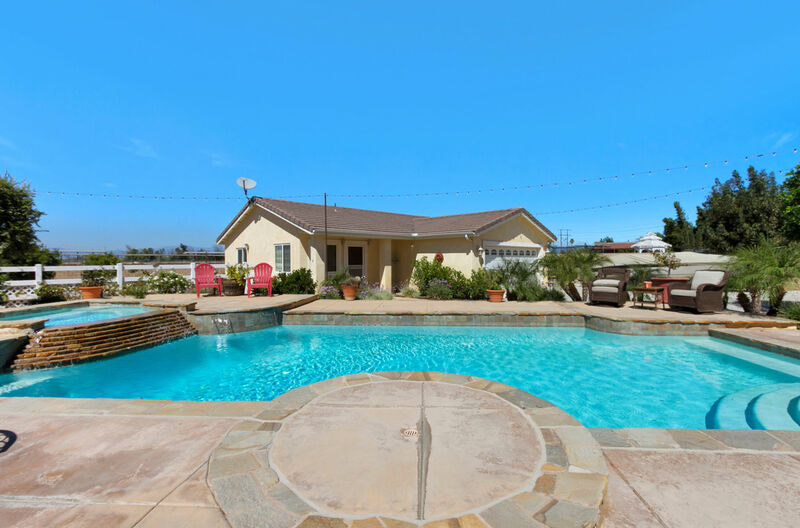 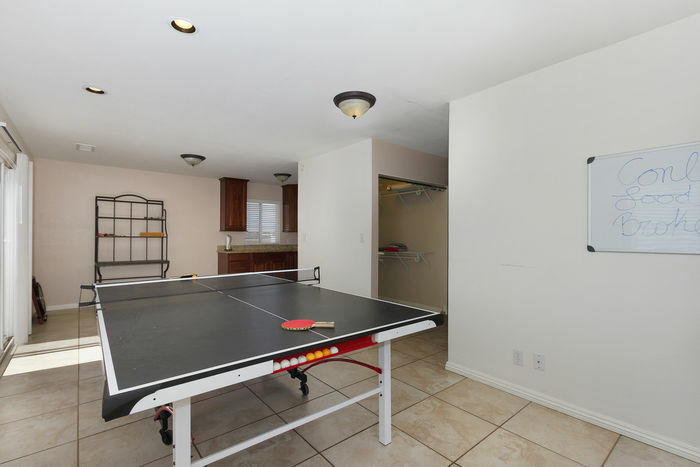 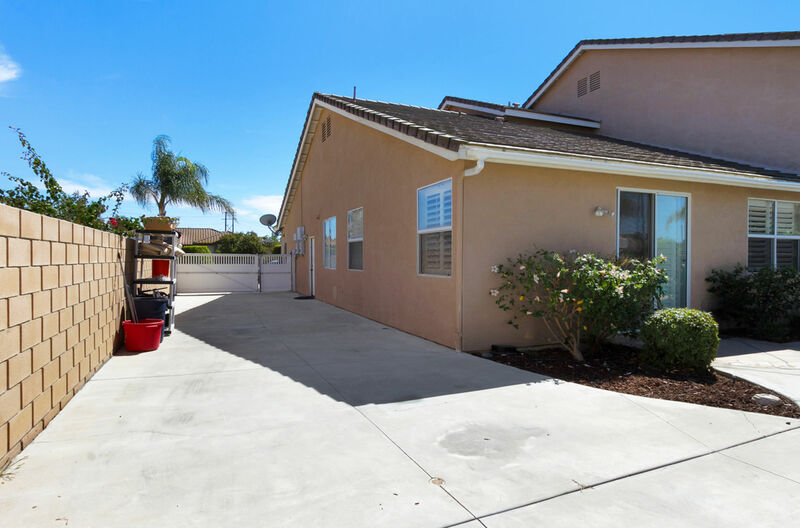 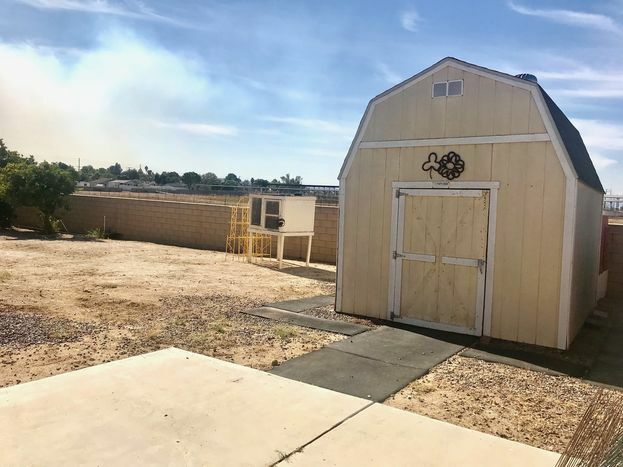 Minutes away from the Santa Ana river bed, a large community horse arena, great school district, trails, parks, and more!